1250mm x 1/2" BSP TM, 1/2" bore, yellow. 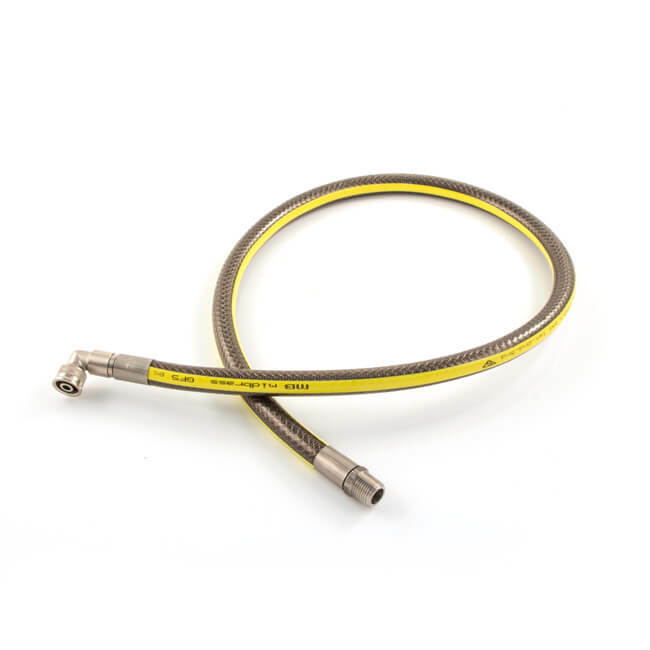 Micropoint bayonet cooker hose suitable for use with all 3 gas family types, manufactured from stainless steel 316L corrugated, braided hose with a PVC cover. Hoses are manufactured, BSI approved and Kitemarked to BS EN 14800:2007 and have CE certification. Compatible with BS 669-1 design and EN 15069 approved sockets. 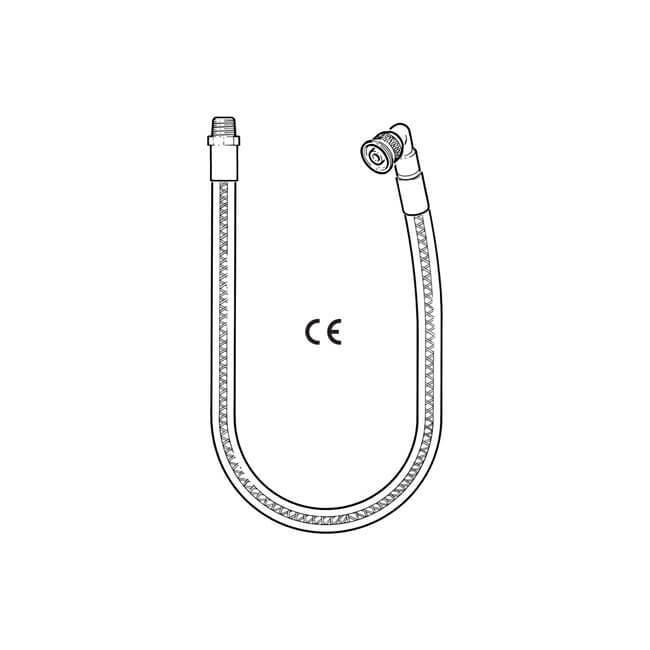 All metal connecting ends enable hose to pass the high temperature test of BS EN 1775. 316L stainless steel. Suitable for use with all 3 gas family types, manufactured from stainless steel 316L corrugated, braided hose with a PVC cover.